Is your business in full compliance with ADA (Americans with Disabilities Act) requirements? Does your building have any areas that pose a danger to your employees or guests? These signs are a necessity for many corporations, large and small. Baker Graphics offers custom signs for all of these needs so you can cover your safety requirements while still maintaining your unique style. 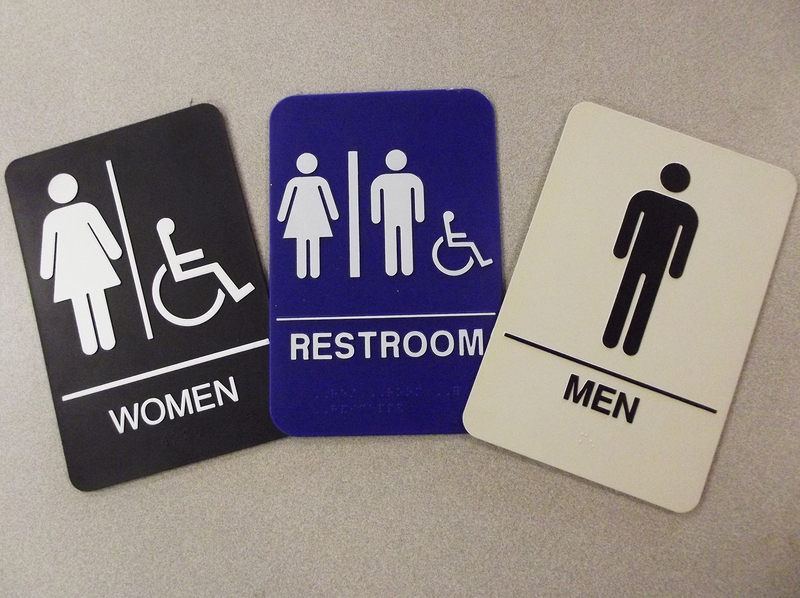 ADA/Location Signs – One ADA requirement is that certain locations be clearly labeled. This includes restrooms, exits and other vital spots. 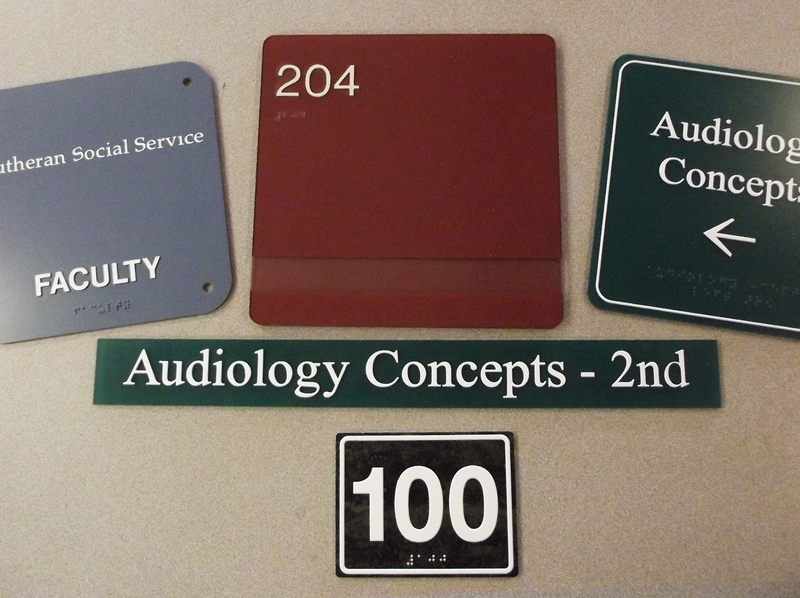 We offer a number of options and can even design these in your company colors or utilize your preferred fonts. 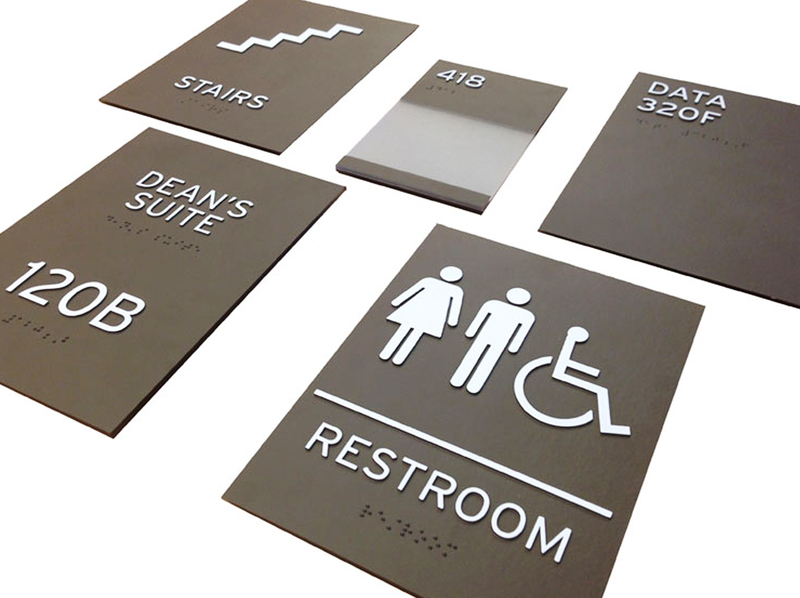 Wayfinding Signs – Directional signs are what most people imagine when they think of wayfinding. These keep people moving toward their final destination. Directional signs typically appear at junctions or anywhere someone might look for directions. 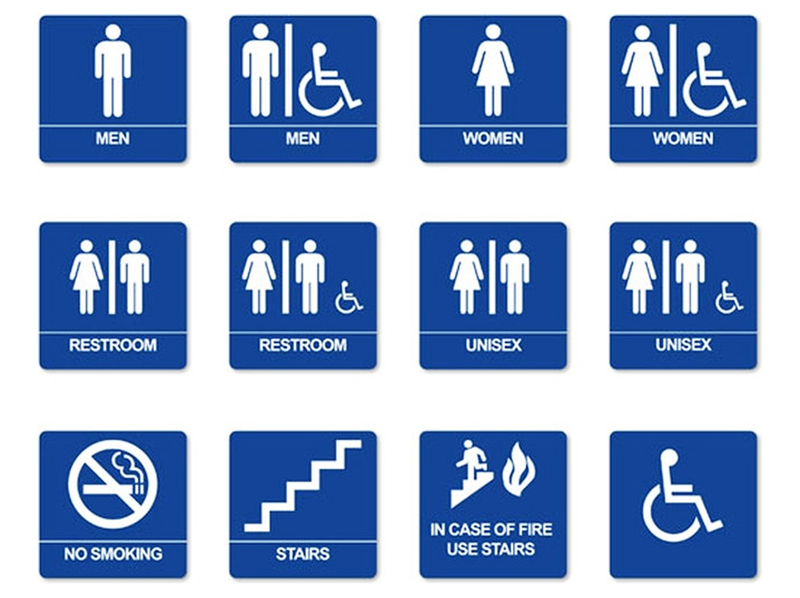 Wayfinding signs can be a key part of your ADA/safety plan. Let us help you make it easier to navigate your site. Caution or Warning Signs – Whether it is a high voltage area or location prone to wet floors, proper caution signs can protect your guests and employees from accidents and protect you from lawsuit. Caution Signs are available in a variety of sizes from large to small and come in a variety of materials to withstand your particular work environment and mounting needs. Just let us know your needs and we can customize it to your specifications. Plaques or commemorative plates are given to individuals or organizations to recognize something they have done or achieved. 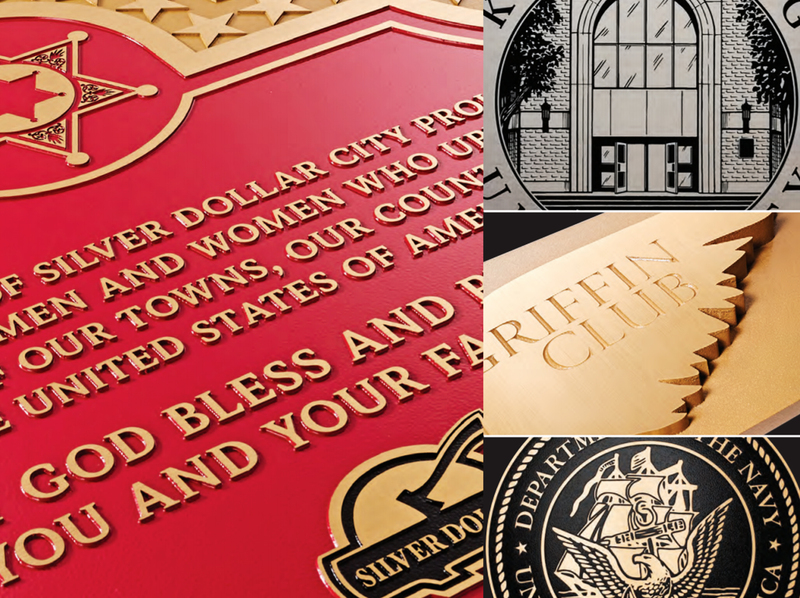 Our high-quality signs and plaques are handcrafted in the USA and designed to stand the test of time. 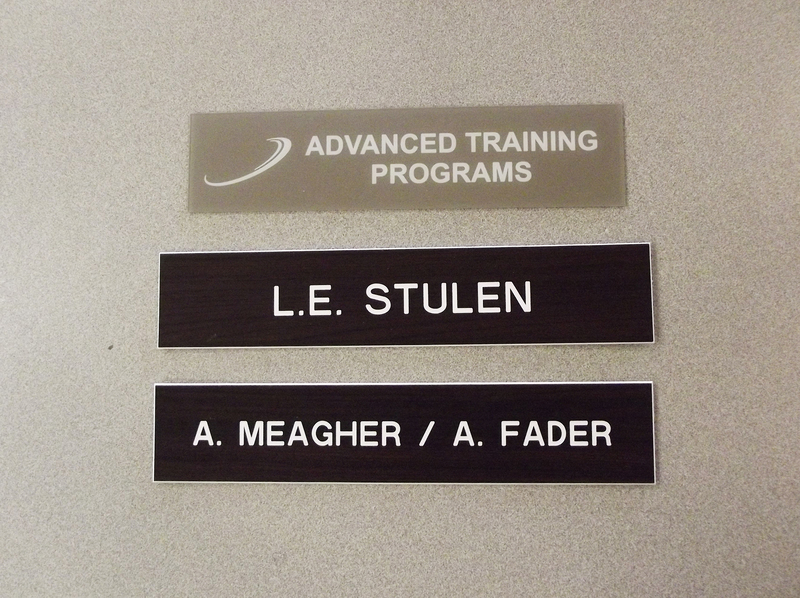 Available in a wide variety of materials and sizes, our individual cast or cut metal letters can be combined along with a series of plaques underneath to create a stunning exhibit or display wall.